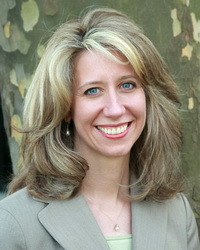 Marisa Faunce is a partner with the franchise law firm of Plave Koch PLC in Reston, Virginia. Marisa counsels franchisors, licensors, and manufacturers on transactional, regulatory and intellectual property issues involved in developing and growing franchise programs. She also counsels franchisors regarding all aspects of the franchise relationship, including operational compliance, system standards, default and termination strategies and franchise workouts. Marisa represents franchisors ranging in size from start-ups to category leaders in connection with the development and maintenance of their franchise programs. She has extensive experience in structuring and revamping franchise programs, drafting franchise, license and area development agreements and counseling franchisors with regard to regulatory (FDD) compliance issues. She also represents franchisors with regard to corporate transactions, contract negotiations, master franchise programs, captive market development, international transactions, and dispute resolution matters. Marisa counsels trademark owners on brand protection strategies and handles domestic and international trademark portfolios. She regularly represents our clients before the U.S. Patent and Trademark Office in trademark prosecution actions and handles trademark-licensing transactions around the world. Marisa regularly trains franchisor executives with respect to franchise sales, relationship and regulatory compliance issues. This session will delve into how franchisors and franchisees can protect their brand while making the best use of social networking sites. Among other things, this session will explore some of the do's and don'ts of setting up social networking sites for an entire system, addressing rogue franchisees and licensees who set up their own sites, and establish a system-wide strategy and policy for social networking and social media. This session will also explore data collection, use, and protection in franchise companies. Finally, this session will address using online tools to manage and enhance your company's online franchise development efforts. Click here for more details.